What is the Value of Using a REALTOR® with an ABR® Designation? Why use an AHWD® Certified REALTOR? What is a BPOR Certified REALTOR®? Why should you use a REALTOR® that has the CLHMS® Designation when Marketing or Searching for a Luxury Property? There are so many differences in searching for or marketing Luxury Properties. Only the CLHMS® (Certified Luxury Home Marketing Specialist) is formally trained to understand the differences in services that are required or expected when working within the upscale marketplace and with its clientele. The CLHMS® Designee has a specialized focus on services of those that are buying, selling or investing in Luxury real estate. Designees are required to maintain a membership with The Institute for Luxury Home Marketing. 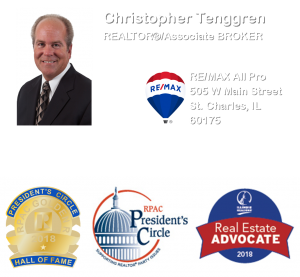 To find Christopher in the national directory of CLHMS® designated agents go to: CLHMS.org and search by: St. Charles, IL. Why Choose a Certified New Home Specialist® Designee? As a prospective new home buyer, there are many questions to answer, a wide variety of builders and communities to evaluate, and a multitude of choices and options to consider. Unfortunately for many, the new home buying process seems so confusing, they simply give up on that dream. That’s where the experience and training of a CNHS™ (Certified New Home Specialist) Designee come in. Their ability to provide the guidance, market information, organizational tools and guidance to help you sort through the confusing issues and take control of the process. They are dedicated to helping you make the very best decisions in building or buying your new home. Why Use a REALTOR® with an e-PRO® Certification? An e-PRO® (e-Professional) is a REALTOR® who has successfully completed the e-PRO® training program for real estate professionals. Endorsed by the NAR® (National Association of REALTORS®), the e-PRO® Certification course teaches real estate professionals the nuts and bolts of working with real estate on-line: web sites, e-mail, on-line tools, and most of all, what today´s consumer really wants. This Certification requires approximately 30 hours of on-line training including four module exams and a final exam. To find Christopher’s national e-PRO profile go to: http://www.epronar.com/RosterProfile.aspx?RID=15975 To search for Christopher on the national directory of e-PRO certified agents go to: ePROnar.com and search by my last name. 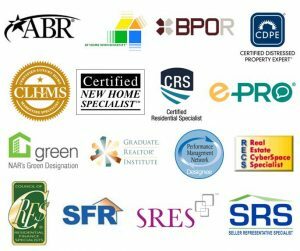 What Makes a REALTOR® GREEN Designee? Why Choose a REALTOR® With the GRI® Designation? Why Select an Agent with the Performance Management Network® Designation? Why use a RECS Designated Real Estate Agent? Why seek out a REALTOR® that has achieved the RFS® Designation? 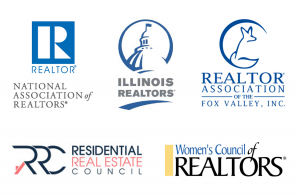 Who is the REALTOR® with the SRES® Designation? What is the Value of Using a REALTOR® with Industry Affiliations? With ever changing technologies, trends and laws, keeping up within the real estate industry can be a challenge. That is why gaining experience and expertise in the residential real estate sectors from membership and/or affiliation with some of the prominent organizations in residential real estate is paramount in the business today! Everyone should know the work of “The Children´s Miracle Network®”? What is The Charffen Institute©? What about the “Council of Residential Specialists®”? What does “The Institute for Luxury Home Marketing®” do? In the Luxury Real Estate market of today, why choose “RE/MAX® Renowned Properties”? What are the “Local, State & National REALTOR® Associations”? Make Christopher Your REALTOR® For Life! Bringing Buyers & Sellers Together in Today’s Real Estate Market!